Ideal for any any traveller! Always keep fully charged and ready to go, no matter where you are in the world! This 2 Pack of Reverse Adapters by Korjo allows you to charge and connect your devices from anywhere in the world. 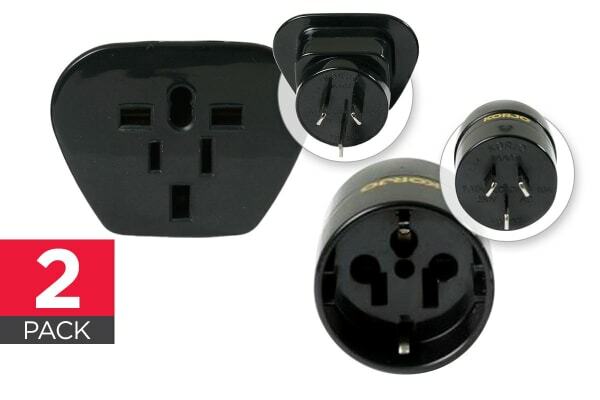 With 2 and 3 pin plugs for US, European, British and Japanese electrical devices, you can now use your products from all around the world, whilst travelling in Australia and New Zealand. Tested and approved by Australian Electrical Authorities, Korjo electrical products are reliable, and in line with Australian safety standards.